Local North Vancouver juice startup (Mama Juice Co.) has been invited to encourage health & wellness at the world-renowned TED conference in Vancouver. CEO and Chief visionary of Mama Juice Co.
PRESS RELEASE VANCOUVER, MARCH 2019: Local North Vancouver juice startup (Mama Juice Co.) has been invited to encourage health & wellness at the world-renowned TED conference in Vancouver. Mama Juice will be setting up an interactive juice bar and serving their delicious juice offerings to the global attendees in April, 2019. In the two years since its inception, Mama Juice Co. (www.mamajuiceco.com) has attracted a multitude of distribution opportunities and has developed an impressive corporate catering resume. Having catered events with brands such as Chanel, Shopify, Ted Baker, and Sierra Wireless, Mama Juice Co. is poised to go to the next level with TED. Often sought by large corporations and home delivery customers alike, Mama Juice Co. is recognized as a high-quality product and brand. “We’re not your average juice company. Our recipes have all been formulated by our in-house dietitian Shannon Smith and we have a lot to offer in the upcoming year. Mama Juice Co. has also teamed up with Shannon to launch our new chilled-drinkable soups in the coming months,” Hoda confirms. TED2019: Bigger than us is set for April 15-19 in beautiful Vancouver, British Columbia. The stage is set to deliver another unforgettable event packed with mainstage talks, workshops and activities. Mama Juice Co. will introduce a health-conscious interactive juice bar experience to this year’s attendees. TED is a nonprofit organization devoted to Ideas Worth Spreading, usually in the form of short, powerful talks delivered by today’s leading thinkers and doers. Many of these talks are given at TED’s annual gathering in Vancouver, Canada, its TEDWomen and TEDGlobal conferences, and at thousands of independently organized TEDx events around the world, then made available, free, on TED.com and other channels. 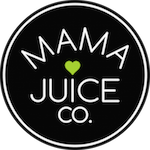 Mama Juice Co. is an all organic cold pressed juice company located in beautiful North Vancouver, BC. While the juicing concept is not something new, the processes in which Mama Juice creates these healthier options has revolutionized our on-the-go lives and our ability to stay healthy at the same time. Dietitian formulated and Mom Approved, our team works hard in providing healthier options for your delicious day to day vegetable and fruit intake. Our juice lineup is growing and we have added 2 exciting new recipes. Make sure to check them out online and available at various retail partners across the lower mainland.